A naval officer who gained a national reputation for his conduct during the Boxer Rebellion in China in 1900, Louis Kempff became Commander-in-Chief of the Military Order of the Loyal Legion on the death of Bvt. Brigadier General Thomas Hamlin Hubbard on May 19, 1915. A native of Bellville, Illinois, Louis was the son of Friedrich and Henrietta Kempff. He was born on October 11, 1841 and, after education in local schools, successfully passed the entrance examinations entered the U.S. Naval Academy in 1857. In company with a number of his classmates he was detached from the Academy and ordered to active service in May 1861 with the rank of Midshipman. Cadet Kempff was first assigned to the U.S.S. Vandalia, which was part of the Charleston blockade. He was commissioned Acting Master on October 25, 1861, and assigned to the U. S. S. Wabash and participated in the fight at Port Royal on November 7 of that year and at Port Royal Ferry, January 1, 1862. He was present at the capture of Fort Clinch, Fernandina, Florida and also at St. Mary's, Georgia and Jacksonville, Florida. Assigned to the U.S.S. Susquehanna he was at the bombardment of the Confederate batteries at Sewall's Point and the occupation of Norfolk, which resulted in the blowing up of the ironclad C.S.S. Virginia. 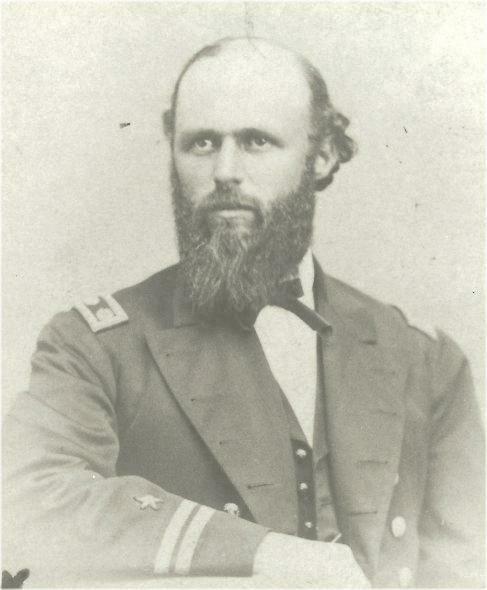 He was then commissioned Lieutenant on August 1, 1862 and assigned to the U.S.S. Connecticut on duty with the North Atlantic Blockading Squadron. The close of the War of the Rebellion found Lieutenant Kempff on duty on the Pacific Station serving on board the U.S.S. Sewanee. Louis Kempff's service during his remaining career in the Navy was spent in the Pacific theatre of operations. His first assignment, on the U.S.S. Sewanee covered the years 1864 to 1867 and it was during that period, on July 25, 1866, that he was promoted to Lt. Commander. Louis was then assigned over the next thirty years to duty in such vessels as the Portsmouth, Independence, Mohican, Saranac, and California. He also drew duty on several occasions at Mare Island Navy Yard and later on the U.S.S. Alert of the Asiatic Squadron. On March 7, 1876 he was promoted to the rank of Commander and this was followed during his service on the Naval Inspection Board, to promotion to Captain on March 19, 1891. On March 3, 1899 he made Rear Admiral and took command of the Asiatic Fleet, which he led from 1900 to 1902. The outbreak in China, generally known as the Boxer Rebellion, found Rear Admiral Kempff as the senior American Naval officer off Taku where an international fleet had assembled to protect the foreigners in northern China. When other foreign ships and forces attacked the Chinese forts at Taku, Rear Admiral Kempff refused to take part, pointing out that the policy of the United States was not to engage in combat with the Imperial Chinese Troops as the United States was not at war with the government of the Dowager Empress. Kempff did cooperate in later efforts to relieve the foreign legations at Peking but he was highly commended for following the instructions of his government in not attacking the Taku Forts and received the thanks of the Chinese community in San Francisco at a complimentary banquet on his return to the United States. Rear Admiral Kempff closed his naval career as commandant of the Pacific Naval District, retiring on October 11, 1903. Upon his retirement Rear Admiral Louis Kempff became very active in the California Commandery of the Military Order of the Loyal Legion. 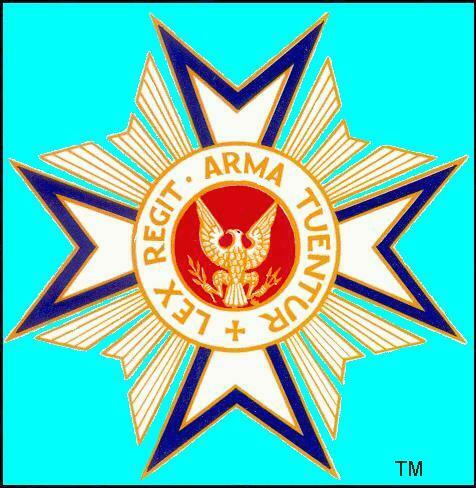 He joined as a Companion of the First Class of the California Commandery on May 10, 1884 with Insignia No. 3236. He served as Senior Vice Commander of the California Commandery from 1904 to 1905. On October 15, 1913, he was elected Senior Vice Commander-in-Chief of MOLLUS and on the death of Brigadier General Hubbard he became Commander-in-Chief. Louis Kempff served as Commander-in-Chief until October 20, 1915. After his retirement from the Navy Rear Admiral Kempff lived at Santa Barbara, California and he died there on July 29, 1920. In 1873 at Fair Oaks, California, he married Cornelia Reese. Their son was Captain Clarence S. Kempff, U.S.N., a hereditary Companion of the Loyal Legion with Insignia No. 12441. Lt. General Samuel B. M. Young succeeded Rear Admiral Kempff as Commander-in-Chief.